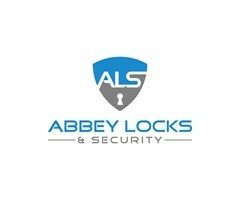 Abbey Locksmiths Ltd - Locksmith based in London Colney, Hertfordshire. Welcome to Abbey Locksmiths Ltd. 07779 798689 - No call out fee! - Honest, experienced, professionally trained Locksmiths. We are an established local Locksmith and security company with over 20 years’ experience in all aspects of security. We have many long-term contracts with businesses and countless repeat work from domestic customers recommending our services to others. We offer free quotations and surveys and have NO CALL OUT FEE or hidden charges, all charges are made clear in advance along with a detailed explanation of any work being undertaken. Abbey Locksmiths Ltd currently employ 3 full time mobile Locksmiths (Mark Grainger, Gavin Jeffries and Chevy Roach) who cover Hertfordshire, North London, North West London, Middlesex and surrounding areas. All our staff are fully insured, carry ID cards and have had DBI checks. Please feel free to get in touch, we'd be happy to help with any queries and supply you with a free, no obligation quotation.